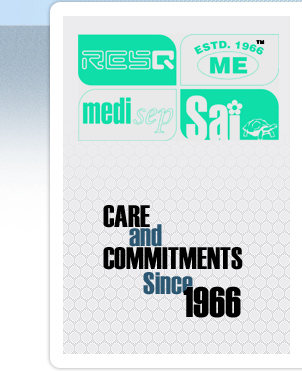 Manufacturer and exporter of Intubation Instruments that includes silicone rubber airways, tooth protector, magill forceps, tube cleaning brushes. 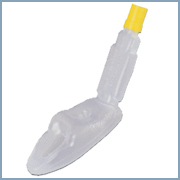 (Sanjivani Airway Mask) - Disposable is Suitable for routine anaesthesia (controlled & spontaneous) & resuscitation. 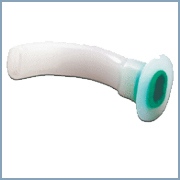 Following are the Various Types of (Sanjivani Airway Mask). Model Size Patients 2.5 Between 20-30 Kgs. 3.0 Childrens. 3.5 Small Adults. 4.0 Normal Adults. 4.5 Medium Large Adult 5.0 Large Adults. Suitable for routine anaesthesia (controlled & spontaneous) & resuscitation. Suitable for both controlled & spontaneous ventilation. Quick and easy to place. Standard 15mm connector connects to any breathing circuit. Placement prevents trauma to trachea, vocal cords & larynx. Useful when attempts at tracheal intubation have failed. Single use design eliminates risk of cross contamination. No deflation / inflation of the cuff involved. Preferable to rigid laryngoscopy when there are fragile teeth or restoration. Available in a range of sizes, suitable for use in children to large adults. Guedel Oropharyngeal Airways an Intubation Instrument with details given below. Designed to maintain unobstructeodr opharyngeal airway during and following anaesthesaian d in patients who are unconscious for other reasons. Reinforced bite blocks are colour coded for instant identificatoiof nth e sizes; sizes in millimeters & numericalsm arked on the flange / bite block. Individuwalrlya pped. 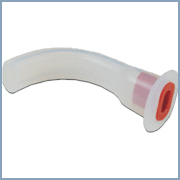 Silicone Rubber Airways is made from non-toxic silicone rubber. It will not damage delicate mucosal tissues, avoids teeth getting cracked or abulsed if patient bites, can be autoclaved upto 135oc. Made from non-toxic silicone rubber, causes virtually no trauma, specially to teeth, will not damage delicate mucosal tissues, avoids teeth getting cracked or abulsed if patient bites, can be autoclaved upto 135oc. 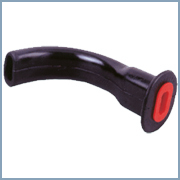 Guedel Black Natural Rubber Airways is made from non-toxic silicone rubber & is similar to silicone rubber airways expect that repeated autoclaving will reduce life time. 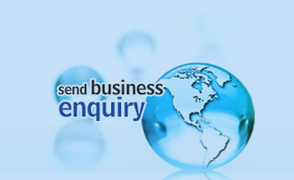 Are similar to silicone rubber airways expect that repeated autoclaving will reduce life time. 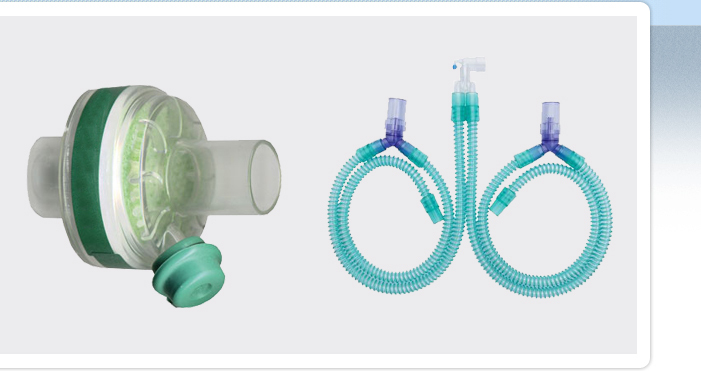 Guedel Disposable airways is Made from plastic for single use only & is similar to silicone rubber airways expect that repeated autoclaving will reduce life time. Are similar to silicone rubber airways expect that repeated autoclaving will reduce life time. Made from plastic for single use only.